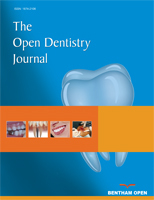 The purpose of the present study was to investigate the frequency of smoking cessation and the use of proximal tooth cleaning routines after a nonsurgical periodontal treatment phase in a Specialist clinic of Periodontology and to evaluate if these behaviour changes had any influence on the periodontal healing results. The investigation was conducted as a retrospective longitudinal study on a randomly selected population of 100 patients referred for periodontal treatment. The variables were registered from the dental records and the radiographs. Forty-six individuals declared that they were smokers at baseline and one individual of those quitted smoking during the nonsurgical treatment period. The percentage of individuals who performed proximal tooth cleaning daily was significantly increased from 56% to 72% during the treatment period. The patients practising proximal tooth cleaning daily had significantly lower Plaque index before as well as after the nonsurgical periodontal treatment phase compared to those without the routine. The subjects who did not perform tooth cleaning daily before the treatment and who did not introduce this routine had significantly deeper periodontal pockets compared to those who performed inter-dental cleaning daily before treatment or who had adopted the routine during the treatment phase. However, there were no significant differences according to number of deepened periodontal pockets after nonsurgical treatment irrespective of proximal cleaning routines. In the future, motivational interviewing may be a more effective method to achieve a behaviour change if an extended education of dental hygienists within this area will be implemented. Keywords:: Non-surgical treatment, oral hygiene behaviour, periodontal pocket depths, periodontitis, proximal tooth cleaning, retrospective study. © Shamani and Jansson; Licensee Bentham Open.